And apparently I have found one of mine. Please note my old exterior pillows on my adirondack chairs out front. I have bleached…washed……thrown in the pool…..they have just lived their last lives. But they didn’t stress me out. I was going to fix them! I decided to re-cover them……. I cut my squares……. pinned them inside out…………..and went to my moms to borrow her sewing machine…..which is a pain but hey…..I wasn’t going to stress about it. And sewed my little heart out…..so pleased with myself that everything was going pretty good. This was me onÂ my third corner……..I didn’t even stop at the 1st or second corner…..
because things seemed so productive……. The needle had no thread. No problem………breathe deeply………it’s only been 45 minutes so far on this panel alone. I got the thread finally back in the needle but somehow messed up the tension or tightness of the stitching and it came out loose and loopy…….. Besides the fact that I was gomming up the fabric……and sewing the excess fabric all up in the stitches. But no problem….I just told myself to relax…..I’m sure everyone has this issue……. I know you can’t see it well at this point but through glossy, tear stained eyes…this pic looked focused when I took it. No Matter how I adjusted the tension knobby the stitching still was loose and loopy……. And then the bobbin thing that goes in the bottom of the machine wasÂ running out of thread again…..
and finally after trying toÂ figure out how to re-fill the bobbin by having my older sister help me that lives at home with my parents because she needs assisted living….. Together, we tried about 45 minutes. So what, that she is staying with my sister that is confined to bed rest and pregnant? My bobbin was out of thread. And I needed my mom too. Bed rest vs. bobbin….I mean it’s a no-brainer. Get this first pillow cover done and then it is easy breezy after that. So, after ripping out the fourth side because I had left too tiny of an opening to put the pillow in……. I figured I was at the wonderful final stage. Where I put the pillow in and close it up. This was good….everyone has to learn…….you are at YOUR FIRST PILLOW ….. I laid on it and tried to sew it shut at same time….. I kept pushing my sister out of the way that was trying to help….. I tried to drown out my dads suggestions with loud complaining….. I felt my nose get hot? I felt a little weird……. I gently laid the pillows down and went home. Leaving my sister and dad looking confused in the middle of my pillow fabric pile and watching me walk out the door. We live next door….it wasn’t far…..and I was coming back….so don’t worry….they knew that. Yeah….. I didn’t think so either. I hid the cuff under the bed so my hubby wouldn’t see. I don’t have “high blood pressure issues”. I may have “sewing induced high blood pressure stressing out issues”. So I prescribed myself a glass of wine and a visit to the seamstress with another failed project. She showed me some of my mess ups and said she would help me figure this sewing thing out. I toasted her with my glass of wine………. So……now that I know that sewing may induce stress….. Guess what I bought yesterday off of Criagslist? Not a bottle of wine……..
That’s right a new/used sewing machine that works! I know that a working machine is going to change everything. I still believe I can do this. I have to conquer this! I will either be an alcoholic when I finish or have a heart attack but I have Roman Shades to conquer first and then yesterday,Â guess what I saw? It wants me to make it….. It wants me to conquer my stress…..or it wants me drunk……I haven’t figured that part out yet. But I’m gonna do one…I tell ya’! 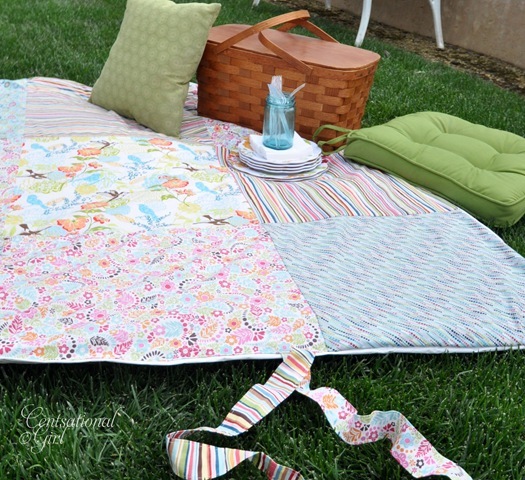 And better yet….I have a different idea to add my “twist” to this blanket! I’m sure that will NOT complicate things! First issue to handle….wine gives me a headache. I won’t do Mary Jane or moonshine…..
But…I will figure something out……I am NOT giving up! I WILL MAKE THIS BLANKET AND MY ROMAN SHADES! Do you have anything that stresses you out? Do you battle blood pressure? Do you want to make that patchwork blanket? So, I shall press on. I will have an ibuprofen….blood pressure cuff and a glass of wine or some other concoction by my side. Pic’s may be a little blurry and the posts may be a little slurred in the future but hey…..
At least I won’t be stressed. And I intend to take you guys with me every step of the way. OK I am ready for this adventure~! Yes, I want to make that quilt. Now to go buy a ruffler foot and a quilting foot for my sewing machine. What machine did you purchase? I’m currently feeling about the same….I’ve never sewed clothing and I am making my Marie Antoinette party dress for this Saturday……..from scratch, no pattern. I don’t think it is going so good! that’s funny. I have a new sewing machine because I was going to learn how to make cute little sundresses for my baby girl. She’s now 5 and I haven’t used the mahine except to secure my son’s baseball patch to his uniform. Ummmm…..Cherie……..what’s a ruffler foot and quilting foot. I don’t need those do I? This has happened to me before! Oh I thought I was the only one – of course I don’t own a blood pressure checker so I couldn’t tell you if I have Sewers Blood Pressure, but I have spent an entire day trying to figure out what was wrong with my machine, I have sewed around without any thread and not noticing – I have sewed pant lets shut – yes, I think we would make quite the pair if we opened up shop. Funny girl.. that was halarious.. I will tell you, a good sewing machine makes the world of difference.. I used a bad one for years and finally a few years ago broke down and got a good machine.. guess what? I discovered I could sew. Hope it works for you.. saves a lot. I have the same problem every time I try to use a sewing machine. I can hand stitch like crazy. Ok maybe not anymore, (old age problems with hands), but when I sit at a sewing machine I think it know I hate it! My Mom was an excellent seamstress and I can’t sew a lick on the machine. Dang it!! Good luck in your sewing adventure and we’ll all understand if the posts are blurry! LOL. you will only need them if you are lazy like me and hate making your own ruffles and pulling those damn strings to gather the fabric and a quilters foot is basically a 1/4in foot for making your seams all the same… another cheater foot. some of them have a bar on the side as a guide for your fabric. A singer is good. Have you tried it out again? OMG. I cannot believe a sewing project could do that! But, when I think of it, my blood pressure probably gets skyhigh in the classroom, when all I want to scream is “shut it!” but instead I have to swallow and calmy count out load to ten for the kids to calm down…. Enjoy your wine and your new red pillows, they look gorgeous.